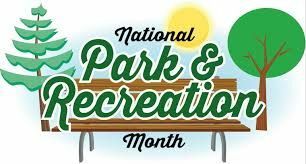 This is our assignment for the Aspire and Inspire sparkteam: July is National Parks and Recreation month. Do you have a favorite National Park you like to visit? 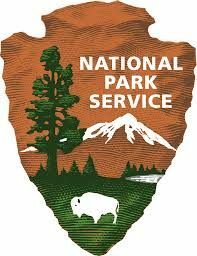 Is there a National Park near where you live? 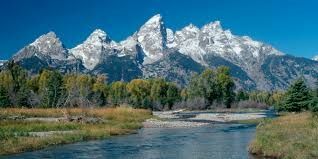 Have you been to many National Parks? I'm fortunate to live in a state that has many national parks. While I haven't been to all of them I have been to several of them. 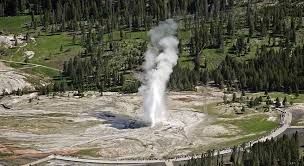 I've been to Yellowstone National Park but that was many years ago when I was still in grade school. I want to go back again someday. I've been to Florida and imagine the terrain in Alabama is similar but quite different from the terrain in Wyoming. Thanks for the pic! I’ve been to those national parks also, and love them! I agree that the terrain is so different there than what we have in our area. I can’t wait to go the Badlands and Rocky Mountain National Park at the beginning of August! I've been all over the United States and have visited many National Parks. It would be hard to pick a favorite. I live close to Glacier National Park in Montana and it has to rank pretty high on the list for awesome scenery and great hiking. Every park has it's own beauty though. Great way to spend a vacation. Thanks for sharing the pics. None near me either but have been to several. 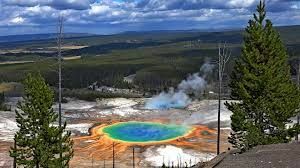 My "bucket list" includes visiting every national park in the US as well as vacationing in every state of the US. Will be going to The Great Smokie Mountains NP next month and plan on doing some hiking. Beautiful! I'd love to see these places some day.